Northern Ohio area businesses and homeowners have relied upon MTC Horticultural Services' expert commercial and residential grounds maintenance and design/build landscaping services for more than 10 years. We also have a solution to all of your rock, mulch, soil, and compost needs. Our maintenance crews are professional, prompt, and fully insured. Our Landscape Architects, Designers and Installation Specialists create landscapes that add beauty and value to your property. We will care meticulously for your property. 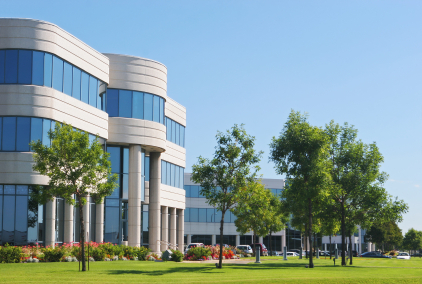 MTC Horticulture specializes in the maintenance of corporate campuses, municipal utility districts, owner-occupied commercial properties, and neighborhood entrances. When these customers also need our design/build landscaping services, our professionals are readily available. MTC Horticulture has a wide variety of top soil, much, and stone available to meet your project needs. Visit our supply yard or have a load delivered. MTC Horticulture recognizes that arranging the hardscape elements in a landscape is a critical part of achieving an aesthetically pleasing whole. In a well-designed garden, the softscape and the hardscape complement each other without clashing or competing for attention. Our landscape professionals will help you achieve the look you are after in your landscape design. Our landscape architects and designers take your ideas and turn them into a reality. MTC Horticulture’s knowledgeable crews implement our first-class designs with an emphasis on promptness and professionalism. Throughout your project’s design and installation, you can count on personalized service, an attention to detail, and close communication.